Think about your favourite hair conditioner. Does it contain silicones? Is it unsuitable for scalp care? Is it rinse-out? Does it have a thick and sticky formula? Sadly, most products have such downsides. It is high time you replaced a traditional conditioner with something better – Nanoil hair oil composed of natural ingredients ideal for the structure of three hair types. We would give a lot for beautiful, long and healthy hair. Regrettably, it is impossible if we are unaware of our hair’s needs. Since we don’t know which nutrients should be delivered with hair products, how can we improve the condition of our hairdo? Luckily, the solution is close. Nanoil presents the remedy for all hair problems: three natural blends of hair oils. stops hair loss and stimulates hair growth. improves the condition of the scalp. prevents extra problems e.g. dandruff. It is the one and only such series of hair oils. No wonder hairdressers fell in love with it the moment it was launched. It is normal that we lack knowledge on how to take care of our hair. We know little about hair structure and essential ingredients. Hairstyling specialists know it perfectly well. They know that Nanoil hair oils are perfect for hair because they match hair porosity. Trust the professionals! Learn more! the scales are flexible so they can open and close. The structure of hair can be compared to the structure of a pine cone. The cone has leaves that cover the seeds whereas human hair can have open or closed scales. A young and healthy cone is tightly closed; when it ages, its leaves raise, the cone loses the seeds and simply gets damaged. It is similar in the case of our hair. It loses hydration and nutrients, gets dry, dull, brittle and simply distressed due to the passing time or some harmful factors. As a consequence, hair gains high porosity which means the worst condition. We can fight with high porosity. It is easy if we choose appropriate hair care products. Nanoil hair oils can boast about something that no other product has: the best selection of vegetable oils made of molecules that fit the gaps in the cuticle layer. 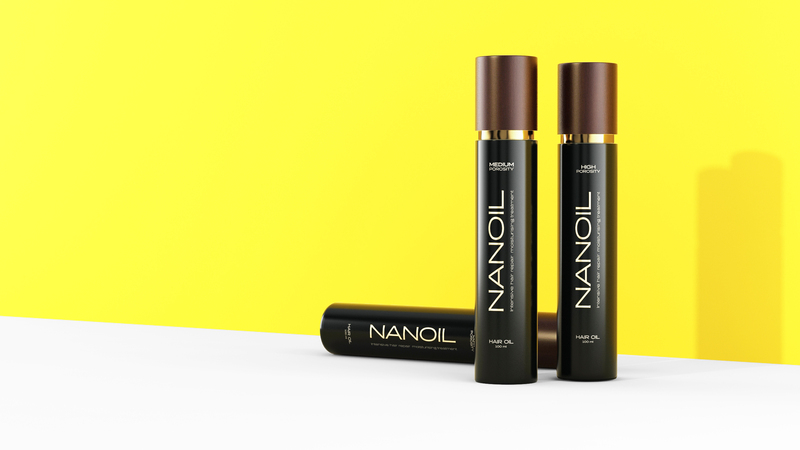 Nanoil hair oils are popular among hairstylists thanks to the innovative approach to the choice of ingredients. Each version is composed of 6-9 vegetable oils and extra components: for hair growth, anti hair loss or for sun protection. Nanoil for Low Porosity Hair contains cupuacu butter, monoi oil, babassu butter, maracuja oil, shea butter, castor oil, argan oil, coconut oil and cedar oil. Nanoil for Medium Porosity Hair includes coconut oil, maracuja oil, jojoba oil, marula oil, argan oil and macadamia nut oil. Nanoil for High Porosity Hair is a combination of cottonseed oil, maracuja oil, avocado oil, evening primrose oil, argan oil and sweet almond oil. NANOIL. Why is it a good choice? The only oils that consider hair structure. The composition corresponds to hair porosity that is the source of all hair problems. As a result, Nanoil hair oils reach the source of the problem instead of just masking it. The formula is weightless and smells nice. The most important thing: the oils won’t weigh your hair down or make it stringy. Why? The oils match given hair types thus provide instant absorption without leaving a greasy layer. That is why you don’t have to rinse them out. The oils are suitable for at least several methods of application. The method depends on your needs, creativity and time you have. 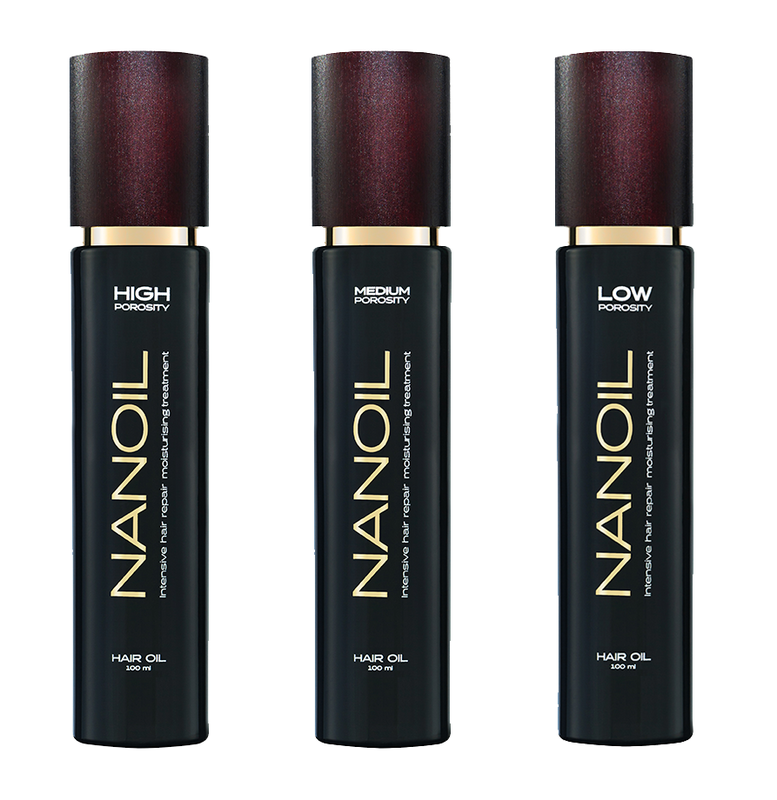 Nanoil hair oils can be applied to hair and scalp; to wet or dry strands. They also work for oiling in a bowl or making an oil mist. You can leave the oil in for the whole night, one hour or 15 minutes before washing. It can be applied after washing, before or after styling. Nanoil hair oils don’t need to be rinsed out so feel free to use them during the day. New cosmetic collection from Lancome and Sonia Rykiel, Colours and Joie de Vivre. Cosmic Urban Decay Moondust Eyeshadow. I love it and recommend it! well, yes, maybe the price is not the lowest but the product is very efficient anf last for long months of regular use! so in fact, it’s not that expensive after all! I’d say that oil blends are the most effective. It’s the first time I am hering about this one but it seems promising! the oil amazed me with its gorgeous scent. In my opinion, it has the perfect consistency – it is easy to apply and washes down effortlessly. I makes my hair moisturised and silky smooth.